A last blast of wintry weather is whipping the area as a storm moves through our region with snow, sleet and freezing rain, causing slippery roads and making travel difficult. 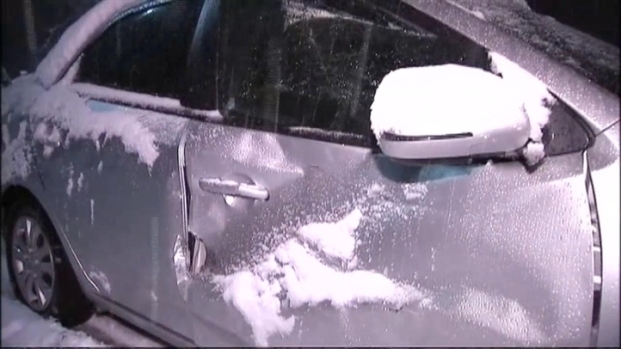 Accidents were being reported across the tri-state Monday night as drivers had to navigate fast-falling snow and slushy streets. The weather was blamed in part for an accident in White Plains, where a car traveling along Martine Avenue near Mamaroneck Avenue flipped on to its side. The driver was taken to White Plains Hospital, where he was in serious but stable condition. Other cars were observed spinning out in Tappan in Rockland County and on the Palisades Parkway in New Jersey. 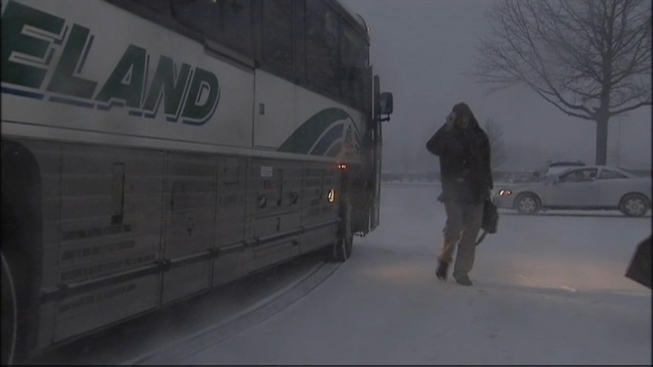 The fast-falling snow in Tappan, N.Y. Monday night made travel dangerous for some drivers. Pei-Sze Cheng reports. While the snow moved out of New York City and Long Island at around midnight, leaving behind up to 3 inches in some spots, sleet and rain continue overnight. Suburbs north and west of the city may see 3 to 5 inches of snow before rain sets in. Drivers may fare worse in the higher elevation areas of the Poconos, Catskills and the Hudson Valley, where up to 8 inches of snow is expected. At lower elevations, freezing rain and sleet will likely cut down on snow totals, forecasters say. School delays are likely for those areas. Click here for an up-to-the-minute list of school closures and delays. Any lingering rain is expected to taper off late Tuesday morning, giving way to partly cloudy skies with temperatures in the mid-to-high 40s. Janice Huff's late afternoon forecast for Monday, March 18. The air turns more brisk later in the week, with temperatures Wednesday and Thursday capping off in the low 40s, making for a chilly start to spring, which is Wednesday. 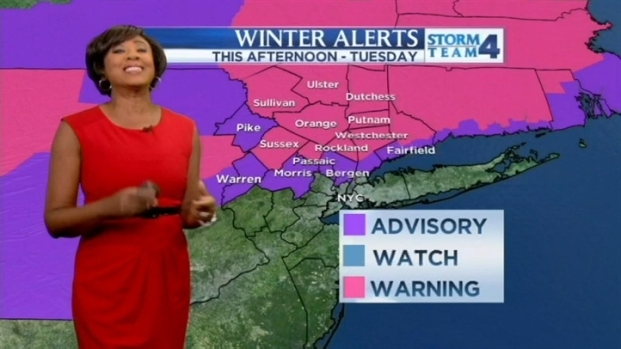 Get the latest forecasts and track the storm with our interactive radar here.